Each measures 3" tall x 2" wide. 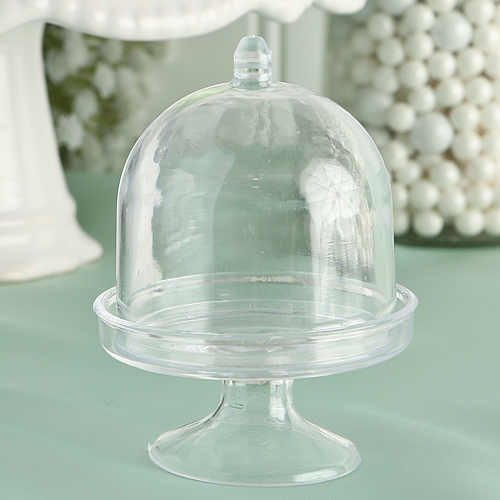 Two piece clear acrylic petit cake stand. Dramatic domed lid lifts off of platform base to fill/remove treats. Sturdy construction with premium quality acrylic. A clear front runner as a favor fit for candy or any number of other treats.